The wild bergamot is very similar to bee balm but instead of a deep red coloration it boasts of lavender, pinkish blooms. This monarda species is highly functional in the garden because it attracts a wide range of large butterflies, bees and the zippy ruby-throated hummingbird considers it a favorite feeding station. 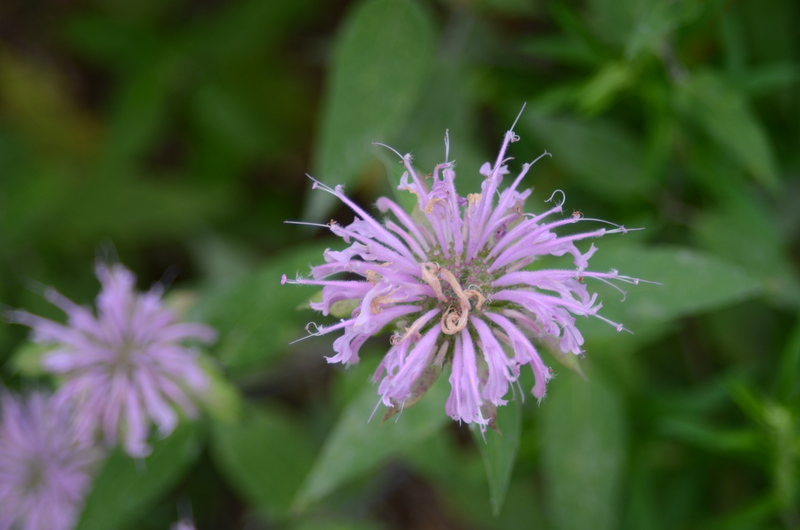 The bergamot blooms for the summer and will stretch into early fall. This species is deer resistant. Landscape Uses : Butterfly gardens, pollinator gardens, hummingbird garden, herb garden, perennial borders and naturalized areas.